Kindle Project is celebrating our 10th anniversary and we are inviting you to join us! 10 years ago, Kindle Project was founded as a response to what felt like the end of the world. The economy was collapsing, the planet was either burning to the ground or drowning, and it seemed like the same old men were running the show. The times called for drastic measures or at the very least – something uniquely different. A small circle of women who were artists, musicians, and institutional outcasts assembled and began cooking up a plan to start a renegade grantmaking organization. We had a pile of cash to give away and wanted to do it in ways that were unconventional and responsive. We wanted to challenge the status quo of philanthropy by changing up who received funding and how giving happened. We needed to be nimble and flexible to meet our ever-changing world. We were outsiders in the philanthropic field and quickly learned that was an asset. Quirky. Gutsy. Sometimes cheeky. Kindle Project was by most standards – weird! 10 years later much of Kindle’s founding spirit remains the same, except our circle of friends has expanded. We work with unusual donors, grantees, and partners that are collectively eager to bring their unique resources to the table to seize the opportunities emerging from systems in crisis. Coming up on a decade is a huge deal for any tiny organization. We’re celebrating the Kindle way: collaborative, creative, and experimental. To celebrate our 10 years, we’re giving $10,000 Flow Funds to 10 Kindle Project grantees. 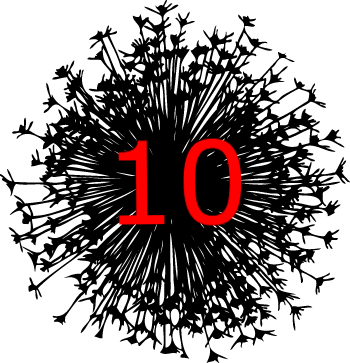 10 * 10 * 10! What’s Flow Funding again? Flow Funding is when a funder, like Kindle Project, invites inspirational allies to make decisions about where money should go (that almost never happens in philanthropy). We’ve done it for 10 years and it’s become a cornerstone of what we do. Why is Flow Funding so important right now? Because addressing systemic crises can’t be done without addressing power imbalances and redefining who the “expert” is. Flow Funding empowers diverse leadership, democratizes decision-making, breaks out of the gated community of philanthropy, and often frees up resources to seed new and exciting initiatives. Who will be the Kindle Project 10 Year Flow Funders? We’re partnering up with our culture-maker grantees who we’ve built trusting relationships with over the last 10 years. Why? It turns out that artists and makers are uniquely positioned to resource extraordinary and necessary work. Unconventional, relational, provoking. Isn’t that what we need right now more than ever? Even though a decade later the world still feels like there’s an apocalyptic shadow looming overhead, we’re inviting you to confront the apocalypse with us and support creative action that’s outside the mainstream. This is your opportunity to support the wisdom of culture-makers and show Kindle how much you love us. Together, we can give Kindle Project another amazing 10 years. Want to get involved? We’re starting by raising $100,000 for 10 Flow Funds. The first way you can get involved is by donating here. P.S. Stay tuned for our list of our 10 * 10 * 10 Culture-Making Flow Funders!